Kamptee – 441401, Dist. Nagpur, M.S. 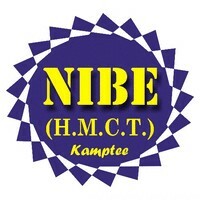 NIBE College of Hotel Management, situated at Kamthi City, Nagpur, M.S. are one of the top class educational institutions of city that believe in imparting quality and in-depth hotel management education to our students. Our focus is on infusing technical and managerial skills among the students. We are transparent, fair and just. sectors of the Hotel Industries, in order to bridge this gap. successful completion of the programme, deserving candidates get Internship and Placement assistance at reputed chains of 3 star, 5 star and deluxe hotels of India and abroad. In F&B department service of food and beverage or their combination of service in the restaurant known as F&B department. In this F&B department we trained the student where they learn the bar and restaurant formal services. Basic kitchen also known as main kitchen where basic requirement like knowledge of different equipment, ingredients and their combination, methods of cooking preparation, plate presentation will be provided in this department. This department is all about the cleanliness, maintenance, aesthetic upkeep of rooms, public area, back area and surrounding also called back bone of the hotel. Library is a place where the student can get treasure of intelligence in the form books. Comfortable sitting with active environment and proper ventilation. Separate girls and boys accommodation with all basic facilities and proper guardian. College providing 100% job guarantee since 2009 in reputed chain groups of hotel in India and assist for abroad placements and training after completion of 1 year educational duration and 6 month necessary industrial training. Tourism Department, Government run Hotels (MTDC), Govt. Air lines, Railway, Military services- like Air Force, Army and Navy, Govt. Canteen & Guest Houses etc. Guesthouses, Amusement Park, International outlets like Pizza Hut, Mac Donald’s, KFC, Walmart, Big Bazar etc. • Residential schools, hostels and colleges. • As a teacher in Training Institutes and Colleges etc. • Entrepreneur of hotel, restaurant, commercial or industrial/collegiate catering, canteen, Café House, Bakeries & Confectioneries, Street food Outlets, Travel Agency, Event Management etc. • Entrepreneur of the food processing unit related canning tinned and packed food etc. NIBE College of Hotel Management, Kamptee offers various graduate courses as well as Post Graduate courses. NIBE College of Hotel Management, Kamptee is affiliated to Kavi Kulaguru Kalidas Sanskrit Vishwavidyalaya (University), Ramtek. List of facilities available at NIBE College of Hotel Management, Kamptee for students.